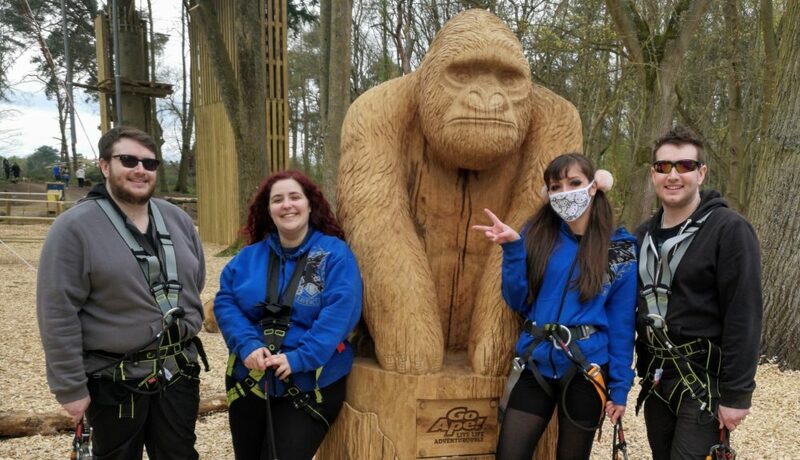 But when I got the opportunity to try out the new GoApe Coventry experience with my blogger pal Lizzie, I just had to give it a go – What was there to lose? I could just go, get ready and then chicken out and get myself an ice-cream and cheer on my friends from the ground. Right up until the last second, I was already planning my escape. I don’t have a fear of heights at all… My worst fear was humiliation. Being the obviously unfit girl who got stuck halfway and had to be got down because she couldn’t do it anymore. I definitely did not expect what actually happened. 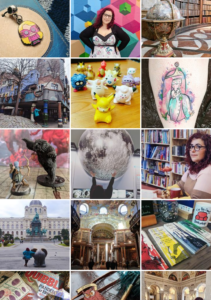 As much as my friends did, and more than some other people I saw around me doing, and other than the wonderfully attractive view of my bum that I put everyone through (sorry, not sorry), I didn’t worry one bit about the people around me! Completed the difficult short course, I jumped off “The Plummet” which is a free-fall drop, and I climbed and zip-lined down like the rest of them. Something I never thought my physical health would ever let me do again. Back in Scouts, they never left you behind and quitting just wasn’t an option. They always pushed you because they knew that you’d feel worse having not done something than just doing it. I try to take a bit of that mentality into everything, become a bit of a “Yes” man and taking every opportunity that’s offered to me. 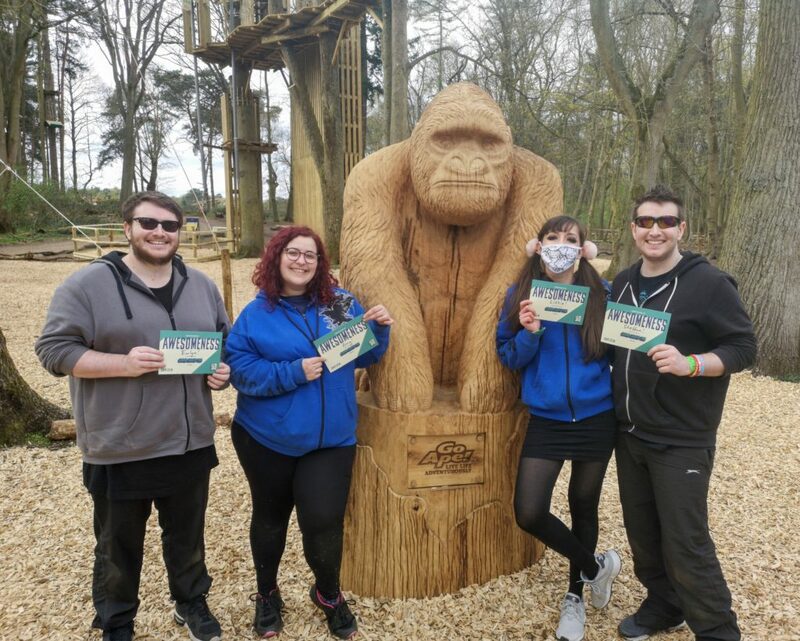 GoApe Coventry? Completed it mate. I DID IT... and if I can do that, I can do anything. Your No.1 fan is very proud of you. 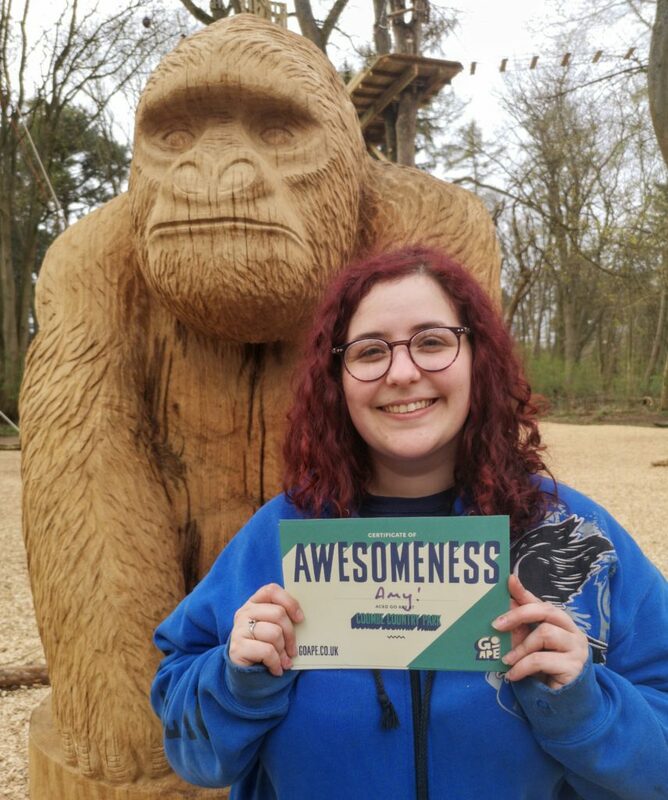 My anxiety stops me from enjoying some things and Go Ape was one of them for me. I couldn’t continue after halfway through due to my fear of just doing it. 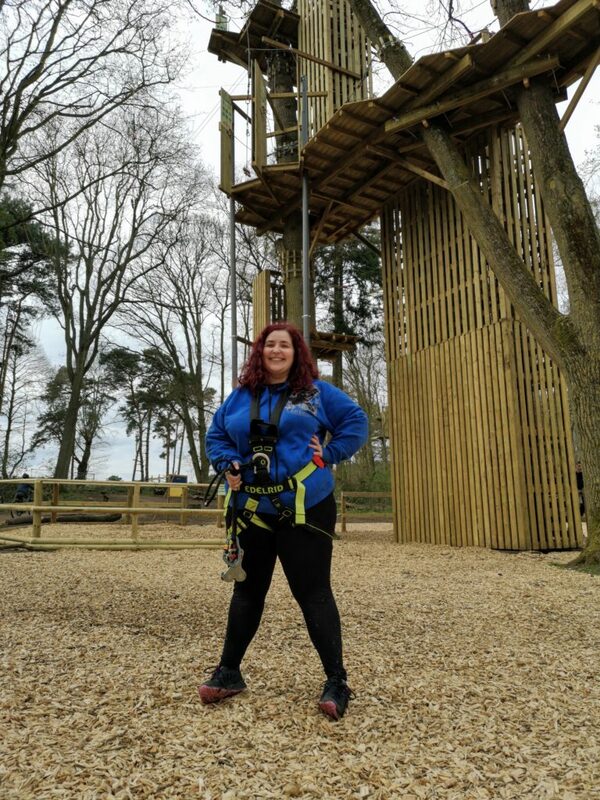 I thought I would enjoy the zip wires but they frightened me too much to actually enjoy them. YOU GO GIRL! I’m so, so proud of you. I totally understand what you mean when it comes to being afraid of humiliation ( from an anxiety perspective ) and I hope you remember this whenever you doubt yourself from now on. you are a star! Congratulations Amy! 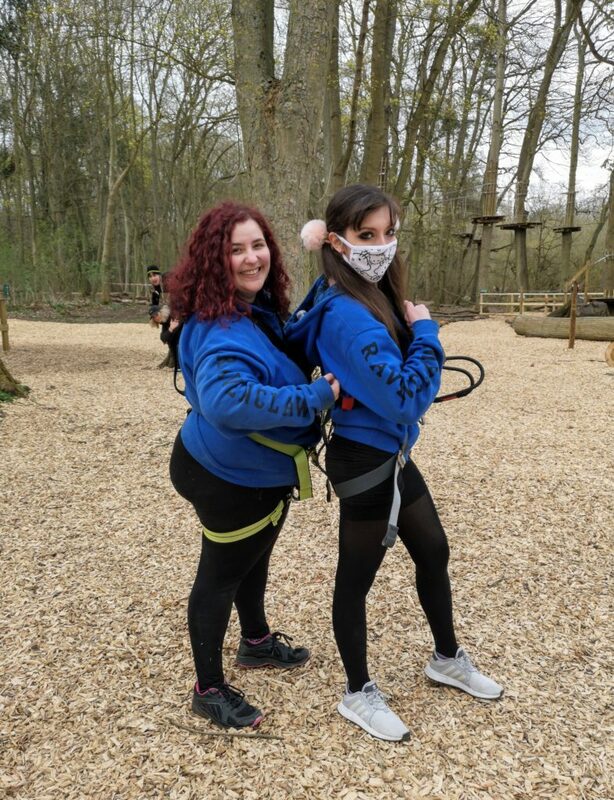 I did a Go Ape session recently with my sister, but after getting stuck at one of the points – I somehow managed to jam my rope – I chickened out and didn’t complete the final section of the course. I kind of wish I had now so that I could say I got through it, but I was just so embarrassed. There wasn’t even anyone around to see, but I was still mortified. I think I’d like to go backand try again one day, but maybe when I’m a little fitter. Way to go!! Glad you tackled it, sounds like fun! It was awesome <3 Thanks so much!